Sorry that Lee Tunnel’s Vision has been in hibernation for the last couple weeks. I appreciate everyone who commented on the Picture Day piece and for those that shared with me your own pictures and memories. And although my day job has been keeping me pretty busy and out of town, I had to weigh in on Pitt vs. WVU game Thursday night. 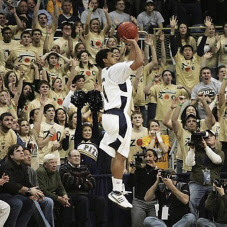 Obviously the game is going to be remembered for the Ramon buzzer-beater and deservedly so. It was a beautiful, clutch shot. 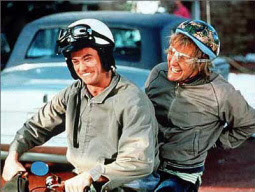 Apparently, he totally redeemed himself from the last minute turnover at Villanova, ala Lloyd Christmas. But the game was frustratingly sloppy. Pitt shot 40% from the field, which was 4% points better than the ‘Eers. Both teams didn’t seem to want to make any foul shots, especially WVU, who was 9 for 18. Oops, they took those two back. Make that 7 for freaking 17. And while it felt like there were like 50 combined turnovers in the game from the hotel room TV I watched from, the box score said there were only 19 in all and none by Ramon. Second, it was nice to see that Huggy Bear took the time to dress up for the event. Third, it was nice to see a “flabbergasted” Huggy Bear singling out one of his players, Wellington Smith, for providing help defense on Benjamin drive to the hole before the kick out to Ramon and blaming him for the loss. It flabbergasts ME that a coach would call out an individual player who played 16 minutes, going 2-3 from the field with six rebounds. I’m sure if Benjamin would have driven to the hole and made a ten-foot runner at the buzzer, Smith would have been blamed for not providing help defense. 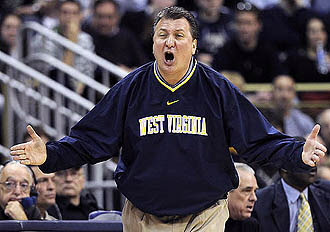 There were a thousand things that WVU could point to for that loss. Smith leaving Ramon open with a fraction of a second isn’t worth singling out as one of them. But what really is bothering me about the game is Sam Young. Yes, Sam Young. It’s obvious that Sam Young wants to chuck the ball every time he gets it. He never has seen a shot from anywhere in the gym that he didn’t like and to his credit, that strange, two-handed, flat shot can be streaky good. Fine. But the fact is, he has played more minutes than anyone on the team, yet he has 24 assists on the year, which is an average of 1.0/game. Mike Cook hasn’t played in six weeks and has 29. It’s also obvious that he can be a malcontent. He admitted to Luke Winn what we all knew. Now whether or not he should have been starting last year over the ultimate “glue guy”, the type of player every NBA GM is looking for despite the fact he is now currently playing in Greece, Levon Kendall, is certainly debatable. But it certainly isn’t an excuse to pout. This is Division I basketball. It’s the Big East. If you don’t like it, go play Trees Hall intramurals. When I watched highlights on ESPN Friday morning, the announcers mentioned in passing that Dixon drew up the final play for Young. But as the play developed, Ramon and Benjamin were the only ones that touched the ball. So I watched in the later highlights on the apparently infinite SportsCenter reruns to see what happened to Young on the play. First, he never made a real attempt at separation from his defender. He was never close to getting open. Second, as the clock ran down, he didn’t provide a pick for Benjamin’s defender when he easily could have. In fact, he got out of the way! Finally, as the Ramon shot hits nothing but the bottom of the net, sending the crowd and more importantly, the bench and team into jubilation, you will not see Young in the celebration. Where you will see him is slowly walking toward the frenzy, sulking, apparently torqued off that he didn’t get the final shot, despite the fact that it went it, giving the Panthers a crucial victory. See for yourself. The final shot comes about two minutes in. Note his reaction at 2:14 and 3:14 in. That, my friend, flabbergasts me. I just can’t figure it. I see it, but I don’t believe it. It's actually easy to figure...it's the look of a selfish player, a person who cares only about his own ego and not the team. The NBA needs more guys like him. Thanks for further revealing what we've always known about this guy.